Ahead of Apple's patent-infringement trial with Samsung next week, a former senior software engineer from the company has given an Apple-approved account of how the first iPhone came to be. Speaking to The Wall Street Journal, Greg Christie has given a fairly detailed version of the revolutionary device's early days, while some of the information was already known, there is a few interesting bits to come out of the article. Christie was working on what would become software for the initial iPhone back in 2005, when Steve Jobs gave him and his team an ultimatum. The team was to show serious progress on the touch enabled phone in two weeks or Jobs would put someone else on the project. With a threat of that nature coming from someone like Jobs, Christie and the "shockingly" small team felt the pressure to come up with "bigger ideas and bigger concepts." They prototyped the ideas on a plastic touch screen running on an older desktop Mac in order to emulate the lesser performance of a mobile processor. After pouring over minute details like what the perfect scrolling speed and response was, and how to get conversation based text messaging just right, Christie managed to present Jobs a prototype that would keep him and his team on the iPhone project moving forward. 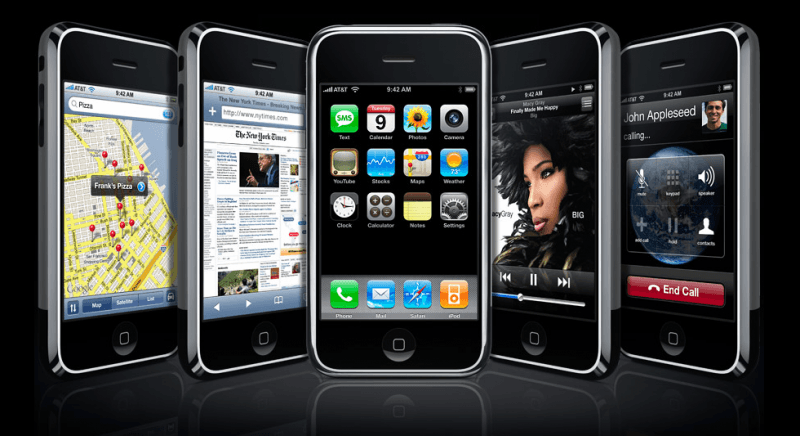 After the two weeks, the prototype featured the now famous swipe-to-unlock feature, an entirely software based keyboard design, and the full suite of iPod-based music listening capabilities. While it may seem that Christie and his colleagues could finally settle down and finish development on the device, settling down just wasn't something Jobs would allow. Christie describes the following two and a half years as a "marathon," with Jobs obsessing over every tiny detail of the project. He said Steve required updates every two weeks for the entire duration of development, in a top-secret, windowless room. You can check out the full article over on The Wall Street Journal.